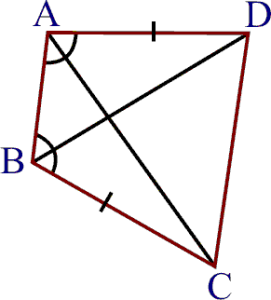 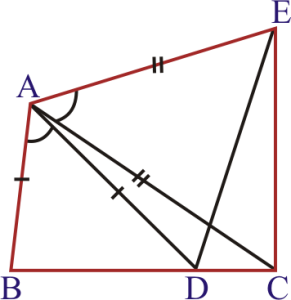 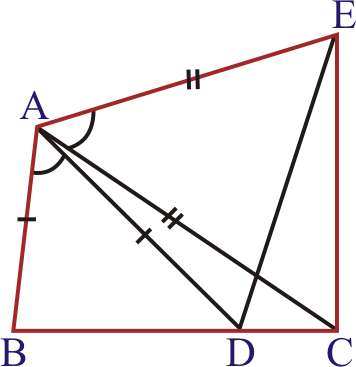 Q.1 In quadrilateral ACBD, AC = AD and AB bisects (see figure). Show that . 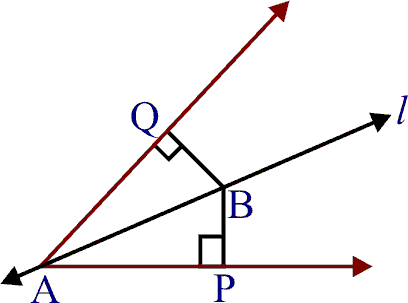 What can you say about BC and BD? 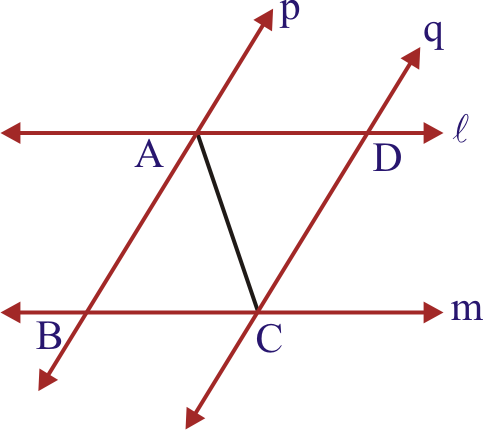 Q.3 AD and BC are equal perpendiculars to a line segment AB (see figure). 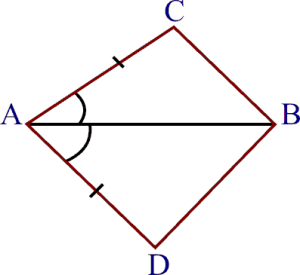 Show that CD bisects AB. 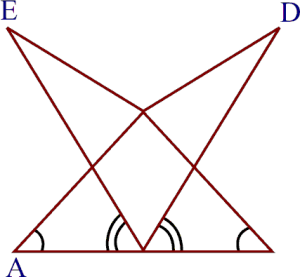 i.e., O is the mid- point of AB. 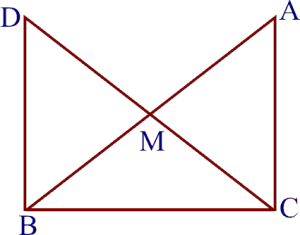 Q.4 l and m are two parallel lines intersected by another pair of parallel lines p and q (see figure). 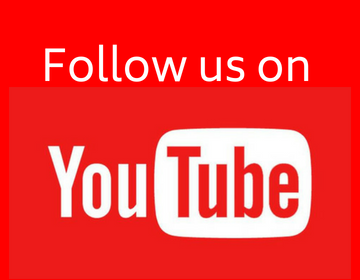 Show that . 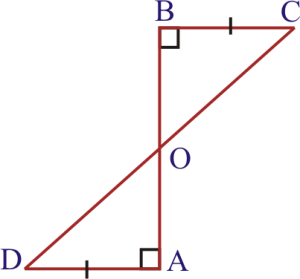 Therefore By SSS criterion of congruence. (ii) BP = BQ or B is equidistant from the arms of . 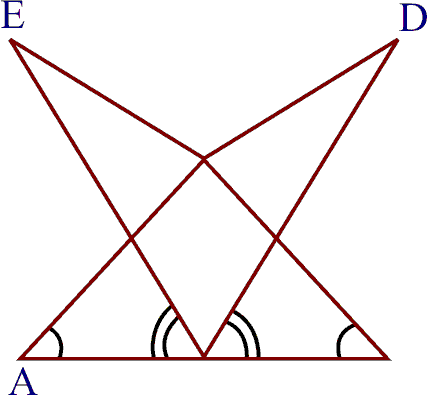 i.e., B is equidistant from the arms of which proves (ii). Q.6 In figure AC = AE, AB = AD and Show that BC = DE. 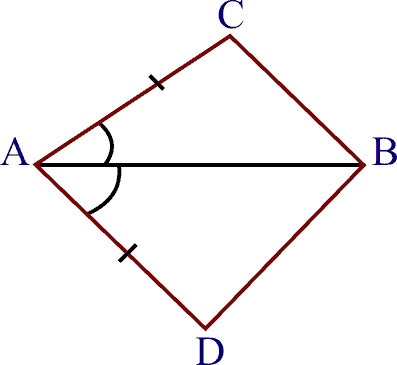 Thus, transversal CD cuts CA and BD at C and D respectively such that the alternate angles are equal. 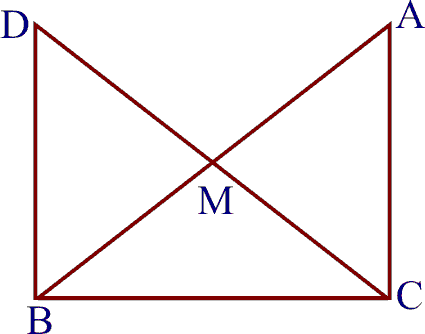 Therefore , BD || CA.